"I still live with cancer, because cancer took her." You probably best know Louise Pentland, AKA Sprinkle of Glitter, as the bubbly beauty blogging internet personality and Youtuber, but her most recent video is a little different from her usual flibbertigibbet style. This time she's opening up about a subject extremely close to her heart. This month is Breast Cancer Awareness Month and to mark the importance of finding a cure and talking about the C word, Louise is sharing her "Pink Hair Story with the world. After being diagnosed with breast cancer when she was 35-years-old, Louise's mum underwent treatment but sadly, 2 years on, the cancer had spread and she lost her battle with the disease. 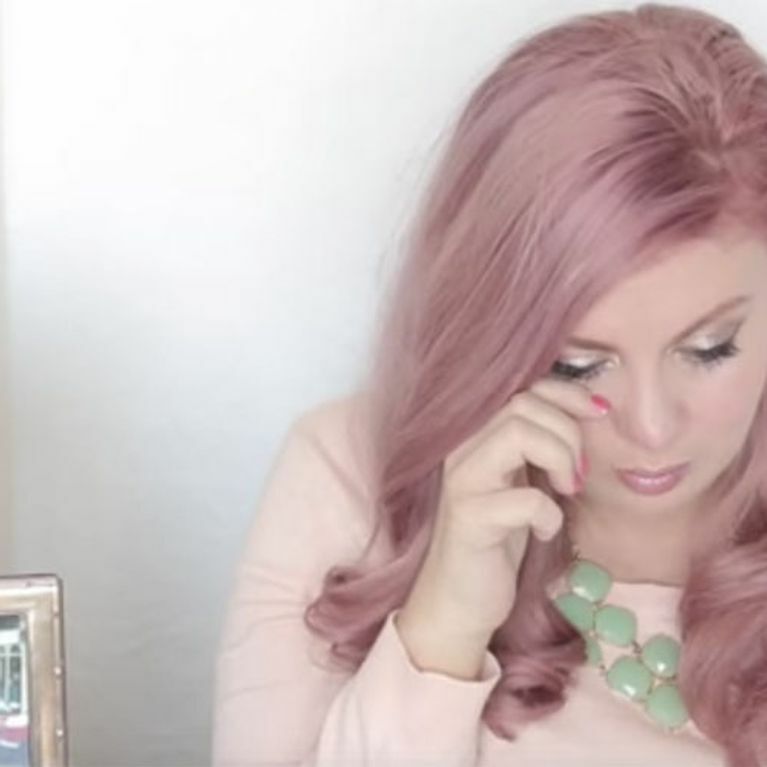 In her most touching video to date, Louise tells the painfully brave story of losing her mum, all from the eyes of a five year old girl. Warning: you will be brought to tears. Now, let's all go hug our mums for a very long time. To donate to Louise's Just Giving page click here!